United Way of Cascade County and Cascade County is proud to be administering the Retired & Senior Volunteer Program. The change creates one place where all agencies that need volunteers can go and people of all ages can find opportunities to volunteer. After 33 years of overseeing RSVP, Cascade County Aging Services approached United Way to invite us to apply to run the volunteer program. 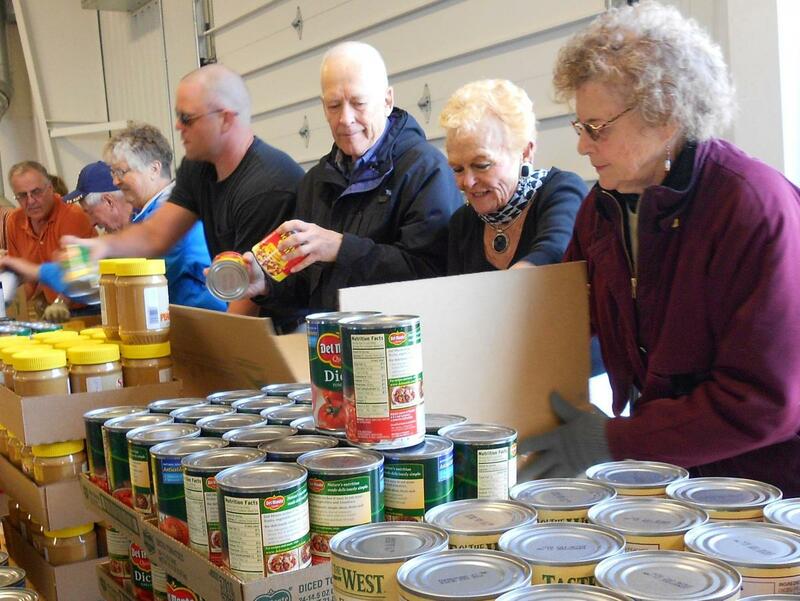 Knowing that RSVP provides a vital service both to seniors and to the more than 100 work stations who rely on 700 senior volunteers, United Way stepped up to keep the program in Cascade County. Annually, seniors volunteer more than 100,000 hours thanks to RSVP. The federally funded organization that runs RSVP asks that volunteers focus on six impact areas – three of which mirror United Way’s focus areas of education, financial stability and health. The others include disaster services, veterans and military families and environmental stewardship. United Way is excited to magnify its impact in education, income and health by focusing volunteers in high-impact activities in those three areas. Last year, United Way of Cascade County engaged 594 volunteers, who gave 4,894 hours to advance our goals. United Way currently connects volunteers to opportunities at 56 local nonprofits through its volunteergreatfalls.org website and its Connect Great Falls young professionals organization. We also work with local businesses to find volunteer opportunities for groups of employees. Lynette Scriver-Colburn is United Way’s new volunteer program manager, overseeing RSVP. Her experience coordinating volunteers with the Lewis & Clark Interpretive Center and working with federal programs as a research historian will be instrumental in building the program to its full potential. Jessica Briggs is the RSVP Assistant. United Way now is working to get contracts with existing worksites and to establish partnerships with nonprofits and agencies to increase the number of readers, tutors and mentors working with students, provide support to preschools and other plans to leverage volunteers to accomplish United Way’s goals. Interested volunteers and organizations that need volunteers can call 727-3400 or click here to email. You can learn more about RSVP and local volunteer opportunities by going to the Cascade County RSVP website or liking its Facebook page.